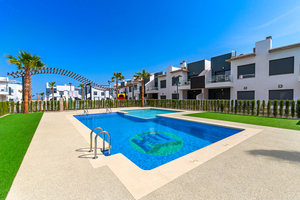 Fantastic new development of properties offering top floor (with private rooftop solarium) and ground floor (with private garden) apartments near the centre of Pilar de la Horadada, Alicante and within less than 5 minutes from the local beaches and the Mar Menor. 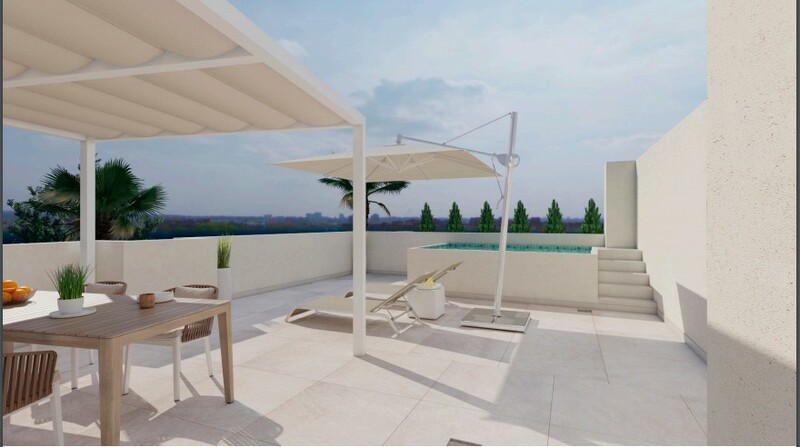 Every well designed highly specified unit boasts a spacious living/dining room, open plan modern kitchen, two bedrooms with fitted wardrobes, two modern bathrooms, a terrace/balcony, with pre-installation for the air conditioning (hot/cold), a storage room and an allocated parking space. 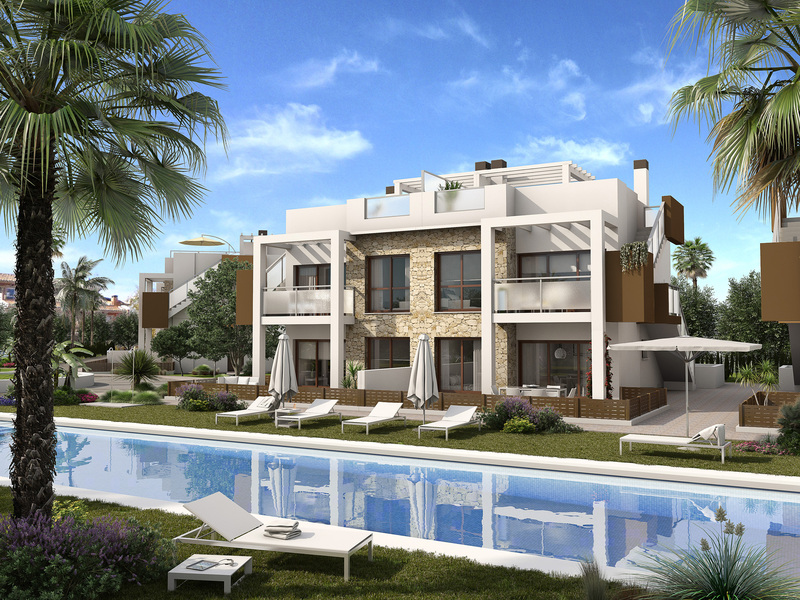 There’s a large communal green area with a lovely swimming pool. Great value new apartments in a great location. 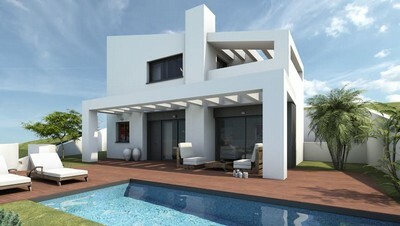 Contact us for the best deals on this and other developments. This 3 bedroom, 2 bathroom apartment is situated in the bustling town of Pilar de la Horadada with numerous shops, restaurants, bars and impressive church square. This property is in a fantastic location, less than a five minute drive from many Blue Flag beaches, pleasure boat marinas and golf courses. The apartment consists of a large living/dining area, a separate kitchen, a master bedroom with en-suite bathroom and dressing area, a double bedroom with built in wardrobes, another double bedroom with built in wardrobes and a family bathroom. 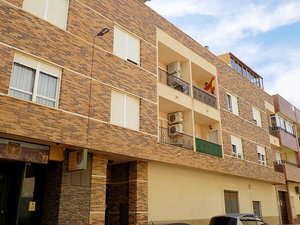 This fully furnished property has never been used and also benefits from hot and cold air conditioning, communal lift and communal solarium with storage room. 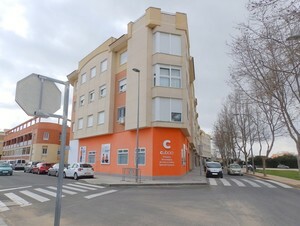 We think – “This apartment is very well presented as it has never been used and the location is fantastic, within walking distance of amenities and a short drive to Blue Flag beaches.” Pilar de la Horadada is a very busy town with numerous supermarkets, boutique shops, restaurants and a pretty church square. The Blue Flag beaches of Torre de la Horadada are a few minutes drive away.